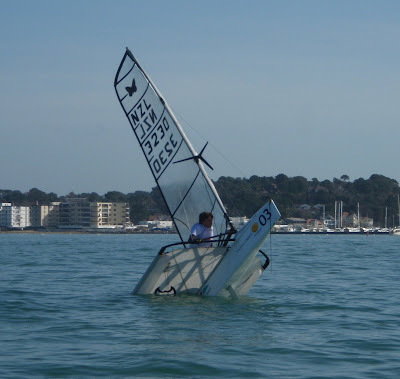 A slight reversal on the wind fortunes today. 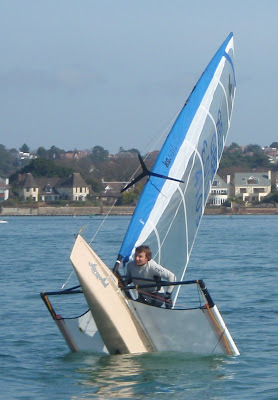 We got keen and went out, but it was light - very light. 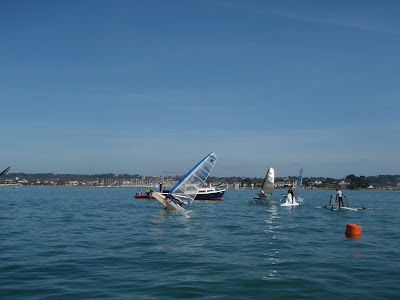 A few who'd come out of the marina the other way got foiling briefly, so I drifted over to sample a bit of the breeze they had. 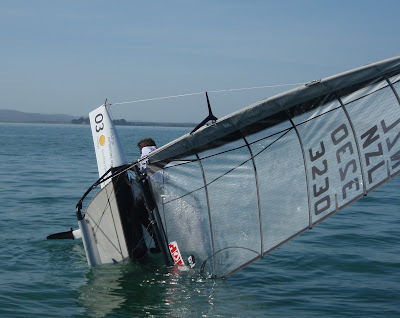 I got foiling twice, but it soon died off and we drifted back down to where the committee boat was. 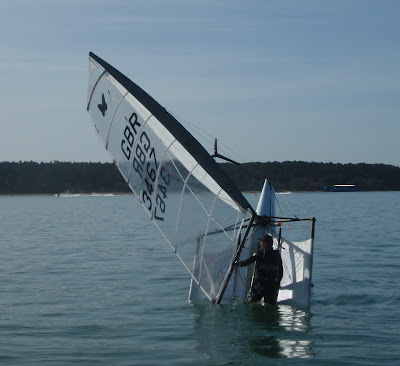 It always amazes me how often you sail in really light conditions, but you manage to foil at least once in the day, and it all seems worth it. 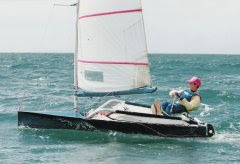 What was satisfying was that I was about to be overtaken by a Laser sailor who shouted over 'Not so fast today are you! 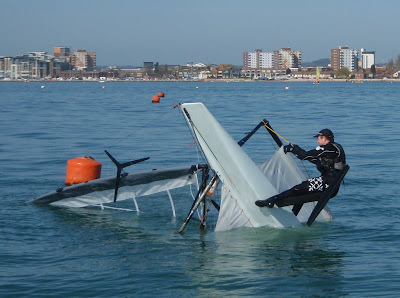 ', just as I got a little puff and popped up onto the foils and off into the distance before I thought of a smart reply. 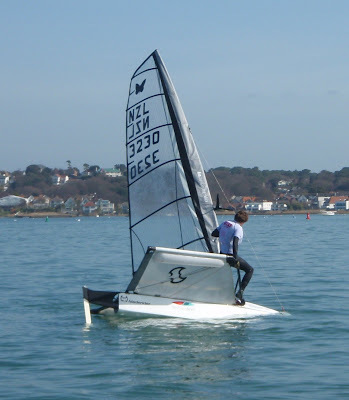 The transom sink spin whilst capsized - but climbing over the board to stay dry during the operation. 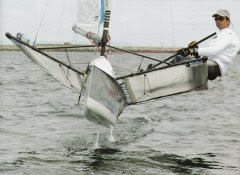 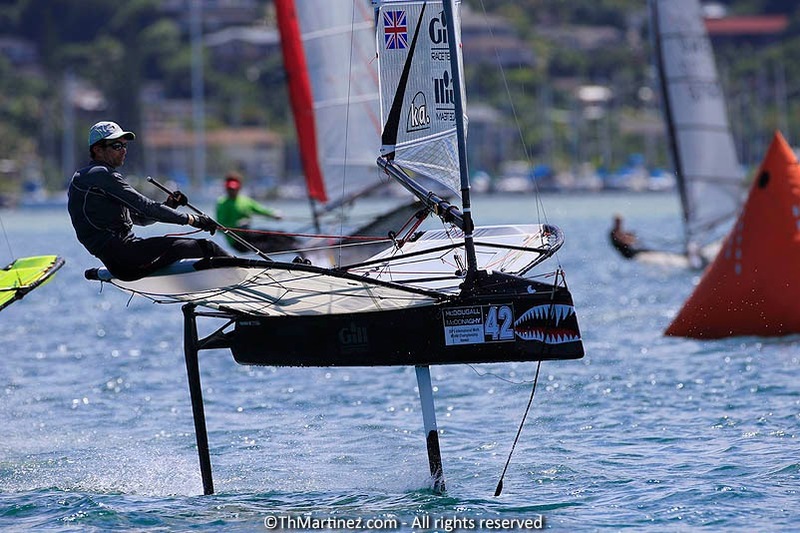 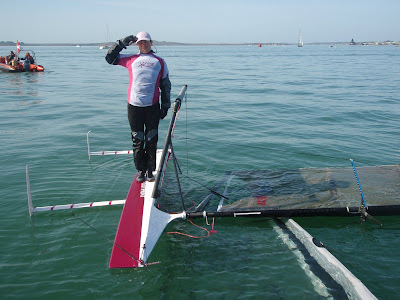 Bow sink spin whilst capsized - again going over the board and staying dry. 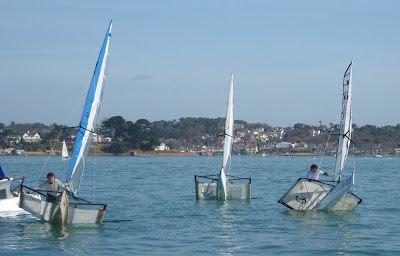 Eventually we canned it and went in for tea and cakes! 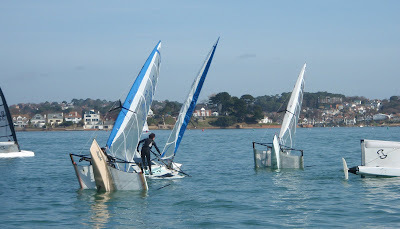 Cheers to Parkstone YC and Rod Harris for organising - A good start to the season, and congratulations to Mike Lennon for the win.